FAQs about trekking and climbing in Nepal. Know the answers to frequently asked questions about trekking and climbing in Nepal such as Visa, Trip Grade, Level of fitness, Typical Day, Accommodation and Food etc..
1. What is the average walking distance/hour? 2. Is previous experience required to trek in the Himalayas? If you are in good health and enjoy regular exercise such as jogging, tennis, or even long hikes then with proper itinerary and acclimatization you can embark on Himalayan adventure. Previous experience is not required to trek in the Himalayas although it will be beneficial to have some. Trekking to Everest Base Camp and Annapurna Circuit don’t require previous experience but being physically fit are basic requirements as you will be walking 6 hours every day on average on ups and downs terrain over 5000m altitude above sea level. For climbing trips, it is essential to have some previous experience. On our climbing trips we have a climbing course at the base camp before the actual climb, where the guides will teach you skills and techniques along with the demonstration of proper use of equipments. 3. Can I get Nepal visa on arrival? Yes, you can obtain Nepal visa on arrival at Tribhuvan International Airport, Kathmandu. Kindly ensure that you have exact amount of cash and 2 passport size photos to expedite the ease of visa application. 4. Are airport transfers included? Yes, we provide airport transfers to all our clients as per their flight times without extra cost. Kindly confirm your flight details a week before your arrival in Kathmandu. 5. I’m a single traveler, will I be charged a single supplement? If in the case of single by default then we will provide single room without extra charge. However, if someone wish to have single room then single supplement will be charged. 6. Is tipping included on trip cost and if not, how much should I budget? Though tipping is not compulsory but gratuity is appreciated. A suggestion of an allocation of USD 5.00 per day per person for teahouse/lodge treks & USD 10.00 per day per person for camping/climbing trips – this can be handed to the leader/Sirdar at the end of the trek in the presence of the staff for distribution as gratitude. You can also give away your trekking equipment such as boots, jackets, trekking poles, head torches to the crew. 7. Accommodation on teahouse treks? Rooms are basic, normally just a bed with a pillow and blankets but with a wonderful view from your window. All the teahouses/lodges have a spacious warm dining room-lounge. We will arrange for you and your group to stay in local lodges daily. Please remember that some of them are very basic and a sense of adventure is necessary. 8. Meals on teahouse treks? 9. Accommodation on camping trip? On our camping trip, for every 2 persons a tent is provided and beside that we will have a dining tent, kitchen tent and more for your comfort. 10. Meals on camping trip? On our camping trips, we have an experienced chef to cater the group needs. Our Chef will prepare exceptional meals and ensure its quality preparation. He will be with us and is responsible for all meals during our trekking days. You can and is encouraged to bring along comfort food which you enjoy eating - chocolates, power bars, dry fruits, candies, other snacks etc. 11. What luggage should I bring with me? Upon your arrival in Kathmandu, we will provide you waterproof duffel bag which should consist all your clothing and gears for your trekking trip and the duffel bag will be carried by the porter/yak. Secondly, you should bring a daypack or a small rucksack, large enough to carry your valuable items, water, energy bars, cameras, waterproof jacket and fleece. 12. Will there be shower, Washing facilities and battery recharge available on treks? Yes, Hot shower, washing facilities and battery charge are available on treks with an extra cost. Hot shower is available at the teahouses/lodges where you will stay at an extra cost of USD 1-2 per person. For battery/Phone charge we recommend you to bring a travel adapter with you. Batt charge will cost USD 1-2 depending upon the places. Along the way there are chances to do the laundry as some days are short duration walk and also, we have a rest day on all our trips. 13. Can I buy trekking/climbing gears in Kathmandu after my arrival? Yes, you can buy/hire your gears in Kathmandu after your arrival but kindly ensure that you have enough time in Kathmandu for shopping as the shops usually close at 8:00 pm. There are branded shops to local manufacturer shops in Kathmandu so it is quite easy to get all the gears in Kathmandu too. For climbing gears an alternate will be to hire the gears if you do not have any plans of using it soon in future. However, we provide 600 gm fill goose down jacket, sleeping bag with liner and a waterproof duffel bag on all our trekking and climbing trips. 14. Do I need trekking poles? Trekking poles are not essential but are beneficial especially on a long day’s trek where the terrain are ups and downs. If someone has knee problem then trekking poles are of a great help. Having trekking poles while walking downhill will reduce the stress on your knee and thus helps you in getting down easily. 15. Are there ATMS facilities in Nepal? There are plenty of ATM facilities in Kathmandu, Pokhara and all the major cities of Nepal. On Everest region, they have ATM facility on Namche Bazar too but carrying personal expenses from Kathmandu is still a good idea. 16. How much cash should I bring with me? This entirely depends on your trip how much cash should you bring but since meals and accommodation on treks/climbs are all included on our trip, you will need cash for meals in Kathmandu, personal expenses, tipping and shopping. 17. What is the staff to client ratio and who will lead the group? We are known for providing the highest staff to client ratio on most of our trips. We provide 1 assistant guide to every 4 clients, 1 porter to every 2 clients and a local experienced trip leader and a Sirdar at camping trips. If you have any special dietary requirements or allergies/intolerance with foods then kindly let us know and we will pass it to the trip leader. But kindly note that we are not able to provide special diets as it can be very difficult especially while travelling to high altitude areas. 19. Is there anywhere to store luggage while on trek? You can store your luggage at the hotel before leaving for trek as we will be staying at the same hotel after the trek, kindly remember to collect your luggage storage tag. Make sure that fragile items/laptop are packed carefully. 21. Currency information and exchange into NPR? Major foreign currencies (USD, GBP, EUR, AUD, CFK, SGD, MYR, HKD) are widely accepted in Kathmandu and you can easily change it in the money changer in Kathmandu after your arrival. Foreign currencies are accepted in restaurant and shops too but it is advisable to change into NPR first as the rate will not be very good while paying by foreign currency and same applies for your personal expenses for trek. Carrying extra cash for an emergency purpose on treks/climbs is always a good idea too. 22. How can family and friends contact you? 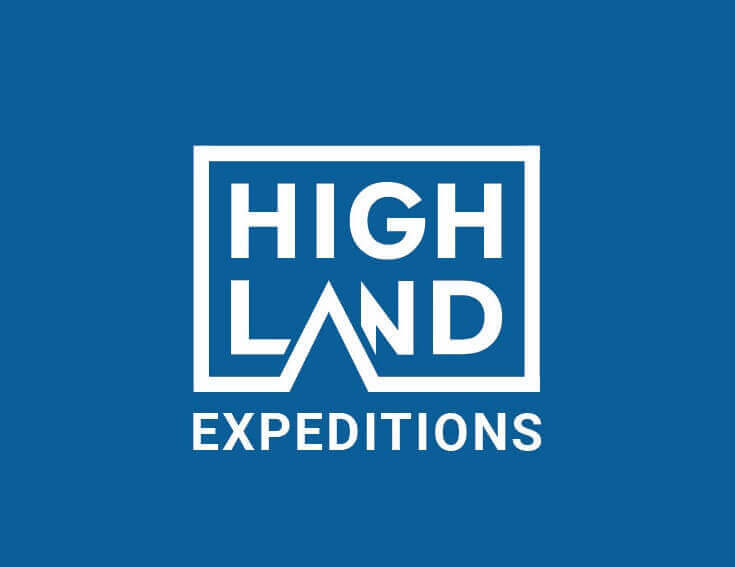 In the case of an emergency, they can contact Highland Expeditions directly and we will pass the message to your trip leader. 23. What clothing should I pack? We strongly recommend packing as light as possible however the specific requirements for clothing depends on your trip mode and where you are travelling. Kindly refer to the trip dossier as it contains the equipment check list.